SENTOSA ISLAND, SINGAPORE / ACCESSWIRE / November 9, 2018 / Billionaire tech investor Tim Draper is all set to address a global audience at the United Conference of Internet Money (UCIM), Singapore. The conference is scheduled for 26th and 27th November 2018 with a vision to "catalyze decentralization in its true essence." "It took us eleven emails with our team's best creative ideas to get a yes from Mr. Draper," shared Rohan Sharma, Professor X (event head) at UCIM. "Some were about the event, some from the cryptoverse, some raps, and others simply honest. We spent a lot of time as we all idolise Mr. Draper for the amazing person that he is," added Sharma. UCIM is based on a unique concept of 'cryptoverse' as can be seen from the theme of their website. They plan to reflect the same at the conference venue as well. On the first email from the cryptoverse, Draper replied "Best email ever. Thank you." This was the third outreach and after the response, there was no looking back for the UCIM team. 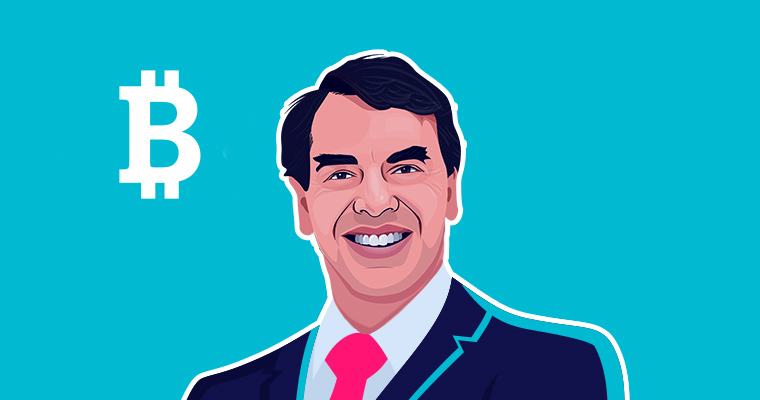 "Mr. Draper inspired me to be something beyond a writer, and reach out to him as the cryptoverse- the parallel of our universe in the space of cryptocurrencies and blockchain. We would spend hours reading and researching about him, and the more we knew, the more efforts we put in. With two raps already written, we look forward to more," added Sukriti Leekha, Chief of Pun(ctuation) at UCIM. Additionally, after the team found out that the Robinhood founders let go of their salaries for a while to have Draper's trust and support, they did something similar. UCIM will now host 100 students from the top colleges of Singapore to empower the future leaders to be believers of decentralization. The conference is also hosting some other prominent speakers, including Pillar Project CEO David Siegel, Global Boost CEO Bruce Porter Jr, Smart Valor CEO Olga Feldmeier, and trading expert Tone Vays. UCIM will also feature a panel dedicated to the women in blockchain in an attempt to transform the drastically low representation. As per the data available with them, there are less than 5% women in the industry that's predicted to surpass 16 billion by 2024. The crypto space is known for anonymous contributors, and the global conference will celebrate such privacy and freedom by presenting an anonymous panel. Mr. Backwards, an anonymous and popular crypto name on Twitter, recently shared that he will be joining UCIM for the panel. Singapore is known to be a hub for technology enthusiasts, startups, and investors. With UCIM kickstarting the Singapore Blockchain Week, there's a lot to be leveraged by various stakeholders. To participate in UCIM as a speaker, sponsor, media partner, or delegate- reach out at hello@ucim.io.